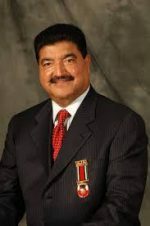 Bavaguthu Raghuram Shetty (known as Dr. B. R. Shetty) is the Executive Vice-Chairman & Chief Executive Officer of Abu Dhabi based NMC Healthcare and UAE Exchange. The company when established in 1975 was initially interested in hospitals and hospitality, but since then has diversified into sectors including pharmaceuticals, global financial services, retail, advertising and information technology. Dr. Shetty arrived in the UAE in 1973. As a trained pharmacist he quickly spotted an opportunity in the country’s healthcare sector and realising that healthcare facilities in the UAE were rudimentary at that time and foreseeing tremendous potential, he established New Medical Centre (NMC) in 1975 which expanded significantly over the years and is today the UAE’s largest private healthcare provider. Owing to the reputation and popularity of NMC Healthcare (as NMC is now known), its hospitals and medical centres cater to over two million patients annually across 12 facilities spread over 5 cities and 4 emirates. It is the first healthcare company from the GCC and the first company from Abu Dhabi to be listed on the premium segment of the prestigious London Stock Exchange and is part of FTSE-250 index. Dr. Shetty identified expatriate aspirations to contribute back to the loved ones left behind in their home countries. This led to the birth of UAE Exchange. Over 30 years after its inception, UAE Exchange is a leading global remittance and foreign exchange brand with a presence in over 30 countries with almost 700 direct offices, touched USD 27 billion in 2013 making it a top player in the global market including USD 8 billion to India accounting for 12% of the foreign inward remittances. In order to achieve his dream of providing services across the entire healthcare value chain, Dr Shetty founded Neopharma, the UAE based pharmaceutical manufacturer in 2003. Inaugurated by the then President of India, Dr APJ Abdul Kalam in Abu Dhabi, Neopharma is centred on using the concept of modular manufacturing following global benchmarks in manufacturing technology and putting in place efficient control mechanisms. Neopharma has its own research and development wing and offers quality medicines at affordable prices. At the same time it has contract manufacturing for international pharmaceutical giants across both innovator products as well as generic brands. Neopharma has relationships with Merck, Pfizer, Biocon, Astra Zeneca, Jubilant Pharma, Boots UK, Hetero Pharmaceuticals and many others. In addition to his business activities, Shetty is also involved in several philanthropic activities. He was an investor in a medical institution in the north Indian state of Uttarakhand, is the founder and patron of the Indian Pharmaceutical Association in the emirates, and is a member of the Advisery Board (Financial Sector), Economic Department, Government of Dubai, UAE and the Pharmaceutical Committee, Dubai. He is also the chairman of Abu Dhabi Indian School. Shetty has been honoured by the Pravasi Bharatiya Samman in 2007 and the Padmashree by the President of India in the year 2009 for his contribution in the field of trade and industry.